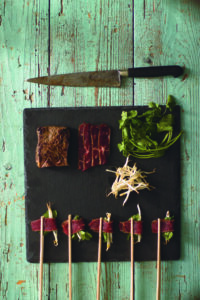 What A Chef Role Involves with F&P! We take our food very seriously at Fish&Pips, and our chefs are therefore of the utmost importance! If you are a chef and keen to make the snowy Alps your home this winter, yet not entirely sure what a role with us involves – please read on..! 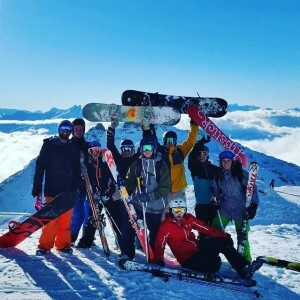 If you looking for a chef position that will look great on your CV, gives you plenty of ski time, a chance to explore your culinary skills, work in a small team and ski in one of the finest ski resorts in the World – Meribel or Val d’Isère – come and join the Fish & Pips team next winter! We are fanatical about food. 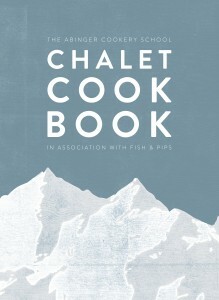 We have brought out our own cookbook and proudly won The Times Chalet Chef award.  Numerous other perks you get from working in small team such as ours. 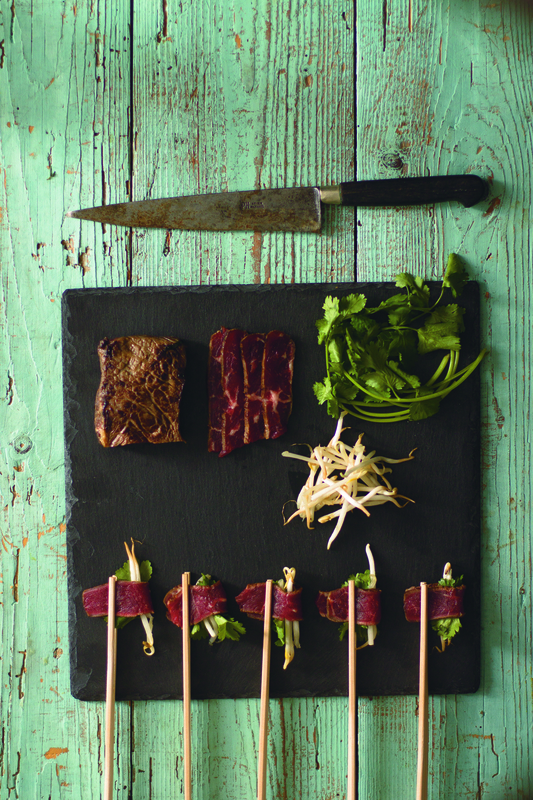 We cater to a high level and strive to wow guests with chalet food that knocks the socks off most. 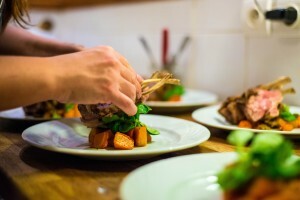 Only employing chefs with restaurant or fine cuisine experience we feel it’s important to give you free reign to design your own menu which can change as little or often as you like. Whilst you need to be competent in the kitchen and passionate about food you will also have shop to a budget, cater for all ages and dietary requirements, and keep chalet accounts on a weekly basis. You will have a great deal of guest interaction and also be prepared to cook in an open kitchen. 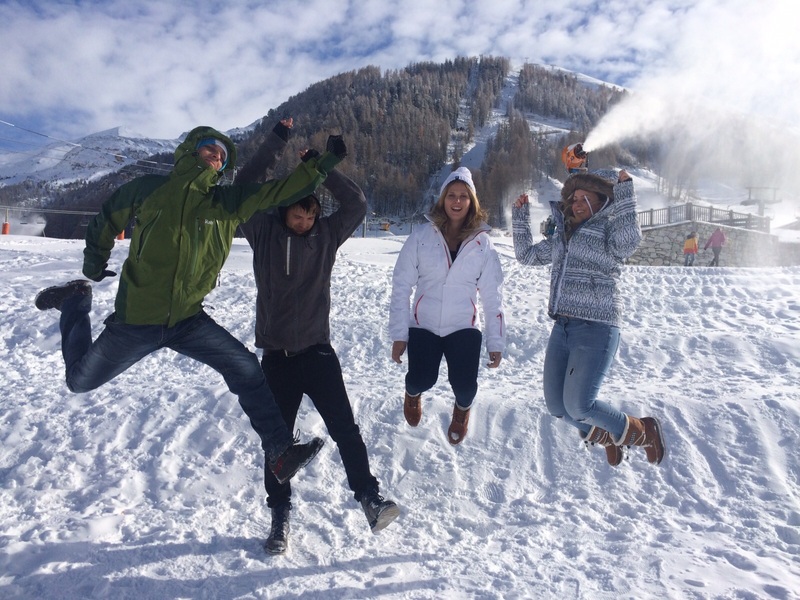 Enthusiasm for skiing or snowboarding or wanting to learn is essential. As a proactive member of the team, you will prepare a full breakfast, afternoon tea, canapés and a 4-course evening meal six days per week. 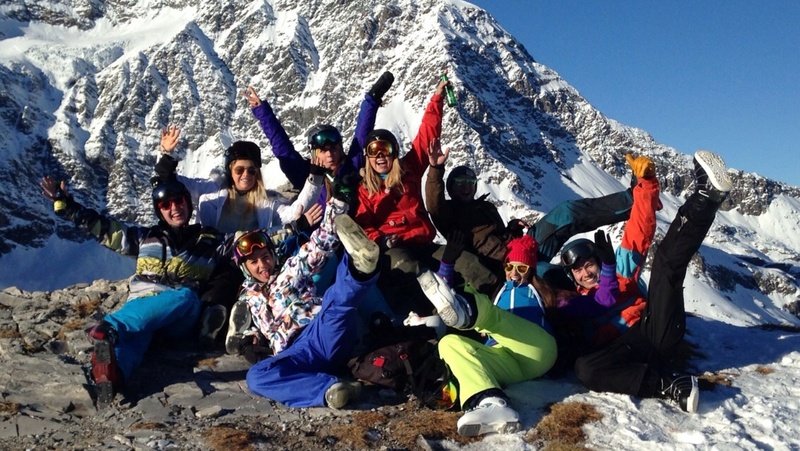 Most importantly we are looking to build a team that works well together both in the chalets and out on the slopes. Years of experience has proved to us that this team work is key to the success not only of Fish&Pips but also to your season. We are looking for a hard-working team to maintain our high standards with masses of enthusiasm for the job in hand, a love for the mountains, an eye for detail and a professional attitude. We value our staff hugely as we recognise they are fundamental in the success of our business. If this is a position you are looking for and think we sound like a company you’d like to work with then simply click on the apply button now on our ‘Work For Us’ page to make an online application. Hurry, we only have a small number of positions to fill! “From a professional perspective, being a Fish and Pips chef for 3 winters was a major part of my development as a chef. In pre-season training I got to try out new menu ideas in various demos, I swapped ideas around with the other chefs and refined my cooking style courtesy of demonstrations and informal menu discussions with Adam Byatt (google him) and some of his brigade which still influence my menus and methods today. Fish and Pips pushed me out of my comfort zone in a way previous jobs had not, and helped me develop through each season into a chef comfortable on any section in any kitchen. Friends, relatives, and many guests, used to ask ‘when are you going to get a real job?’. Make no mistake, there is nothing ‘not real’ about this job. You’ll work hard, but you will be supported where you need it, and you will gain so much more than if you take the easier option. “I was a part of F&P for 4 years, and very year it felt more and more like coming home. From waking up first thing in the morning in the mad house, ensuring everyone makes it up the hill to work on time to settling into your working day and trying to race everyone else to be the first out on the hill! 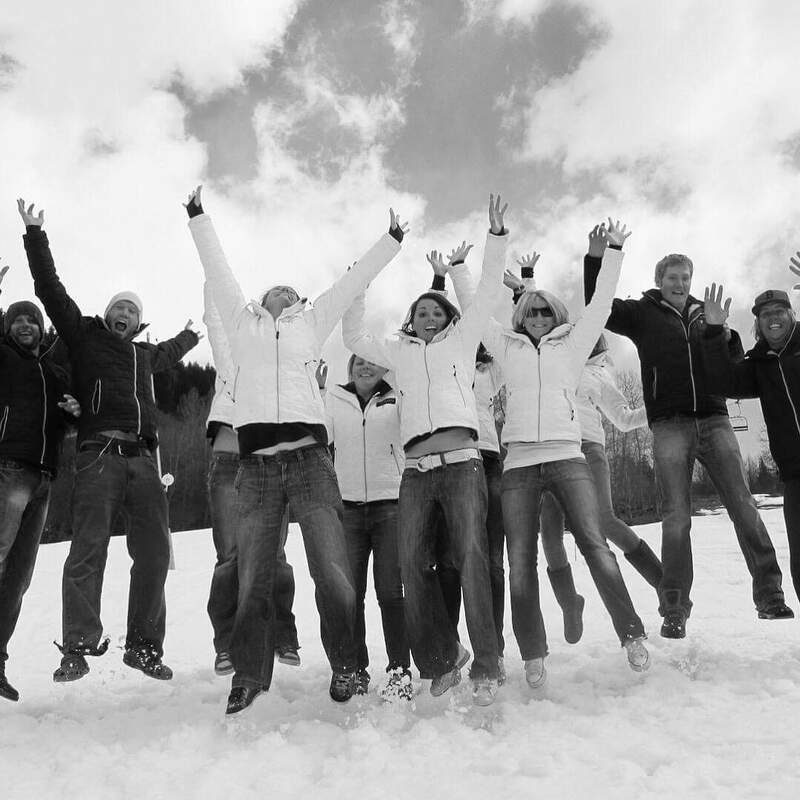 No two days are ever the same, and every week of guests brings new faces into your chalet. New dinner chat, new laughs and new experiences. Meribel Village will always be my home I think. Having done 3 seasons before I found F&P I never thought I would end up staying in any resort as long as I have. I did two seasons running a chalet with my other half, and then another 2 as RM. F&P expect a lot of from you, they put their guests in your hands, their reputation and high standards are continually checked upon to ensure they are being maintained. But the rewards far out way any of the challenges, and it makes every day a little bit better than the last. Seasonal work is full on, but if it is so worth it. Having to opportunity to get up in the morning and look up a mountain of fresh snow, knowing you know where you can still find fresh lines, knowing you can walk into the little bar in village and there will be a handful of people that although you may have only recently met are your new family, and knowing that the more you put in the more you will get out!! All of these are things you NEED to experience! Although I no longer work for F&P, I still consider myself a part of the family and know there will always be a happy F&P face in the LDV to talk to when I make it to that end of the valley. The 3V is my winter home now, and the 3V should be everyone’s winter home for at least one winter! 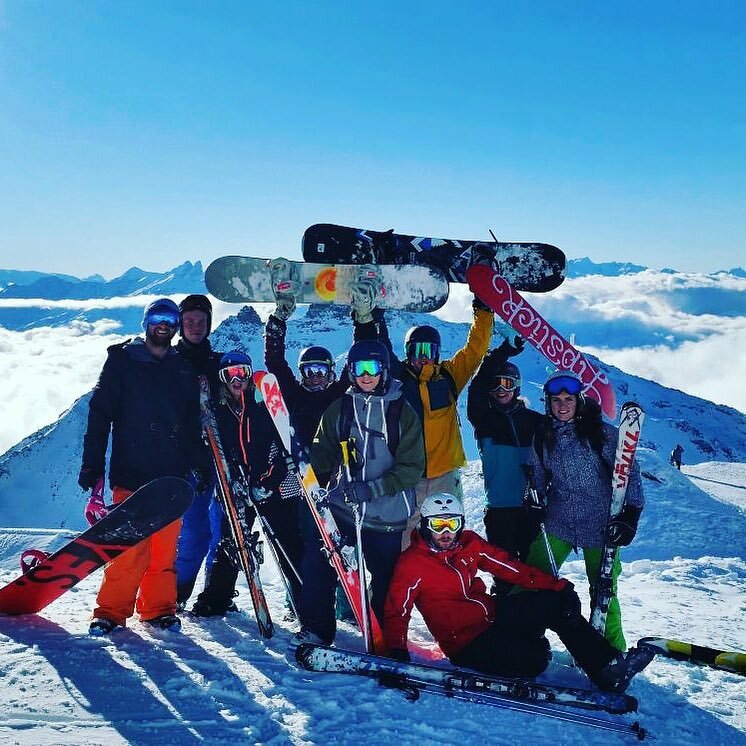 Whether you’re fortunate enough to work for the F&P family is entirely up to you, but I suggest you take the chance and get ready for a full on winter of friends, new family, lots of skiing and more fun than you knew could be had in those temperatures! !